We're just a little over a month until the start of NFL free agency in 2019. 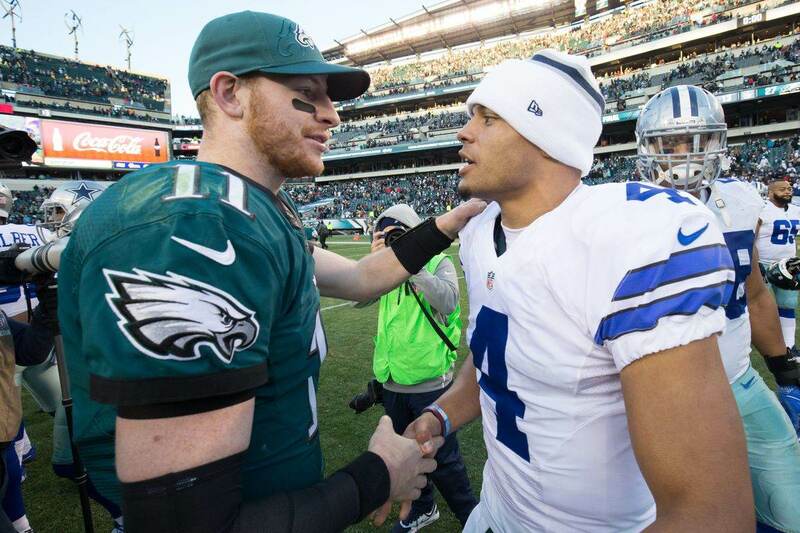 Like all other teams, the Dallas Cowboys are already looking at potential moves to make. Some of those could come from the open market, but they also have decisions to make with their own free agents. You already know the big names; DeMarcus Lawrence, Cole Beasley, and David Irving. There has been and will continue to be plenty written on these guys in the weeks ahead. But there are over a dozen other Cowboys whose contacts are expiring. Some have been with Dallas their entire NFL careers, while others were recent additions who were plugged in during last season. How many of them are worth bringing back next year? Can they help to shore up some of your depth needs and give you more flexibility in the upcoming free agency period and draft? Today, I wanted to showcase five players who I think could be re-signed and provide value for the 2019 season. He'll turn 38 in March, which is old by any NFL standard and ancient for the youthful Cowboys. But nobody does their job better than Ladouceur, who has been perfect as the team's long snapper for 14 seasons. If he still wants to play, Louis-Philippe would have plenty of suitors as a free agent. Dallas should go ahead and lock him up before anyone gets a chance. Next year is a pivotal one for so many Cowboys, even up to the head coach. With a lot of jobs on the line, you don't critical games being lost because of miscues on special teams. There are younger and cheaper options out there, and Dallas usually brings one in every training camp to take some reps off of their veteran. But stability is so valuable in the kicking game, and nobody offers it more than Ladouceur. Depending on how this season goes, maybe afterward you try to find the next guy to take over the position. But 2019 is not a time for unnecessary change, even if it costs you some extra money. Ladouceur is as good as they come, as Brett Maher, Chris Jones, and the rest of the team should get their best chance to succeed next year. It would be easy to forget about Swaim after last season. He only had 26 catches in nine games before missing the rest of the year with an injury. You're likely ready to move on to Blake Jarwin, Dalton Schultz, or whatever fresh faces Dallas might be able to bring in this offseason. But Geoff is a proficient run blocker and solid in the passing game, which makes him an ideal number-two TE on your depth chart. Plus, he could still probably be competitive for the starting job if brought back. Even if the Cowboys are looking to upgrade the TE position, Swaim could likely be re-signed for a minimal contract. That's good value for a player with his system experience and overall ability. It doesn't look like Rico Gathers has a future with Dallas or perhaps any other NFL team. The Cowboys would have a stronger group in camp this year with Geoff Swaim in the mix over Gathers, and the price difference between them isn't going to be much. Ideally, yes, Dallas will be adding a TE this offseason who is better than any of the current options. But given his overall skill set and experience, Swaim may still be the next best guy. At the least, I'd like to see him competing for the backup job. Unlike Anthony Hitchens last year, Wilson's hasn't created a market for himself in the upcoming free agency. A team might want him to handle a similar role to the one he's played in Dallas an occasional starter in the base defense. So, why shouldn't the Cowboys be that team? Why let him leave if you'd then have to replace him? This decision is impacted by what happens with Sean Lee. If Sean wants to keep playing and the Cowboys are willing to keep paying, then that doesn't leave much room for Wilson to stay. In that scenario we'd likely see Jaylon Smith play the SAM role in the base defense. That was Wilson's spot the last few years. But if Lee retires or gets released, then Damien gives you experience and solid play for the position. 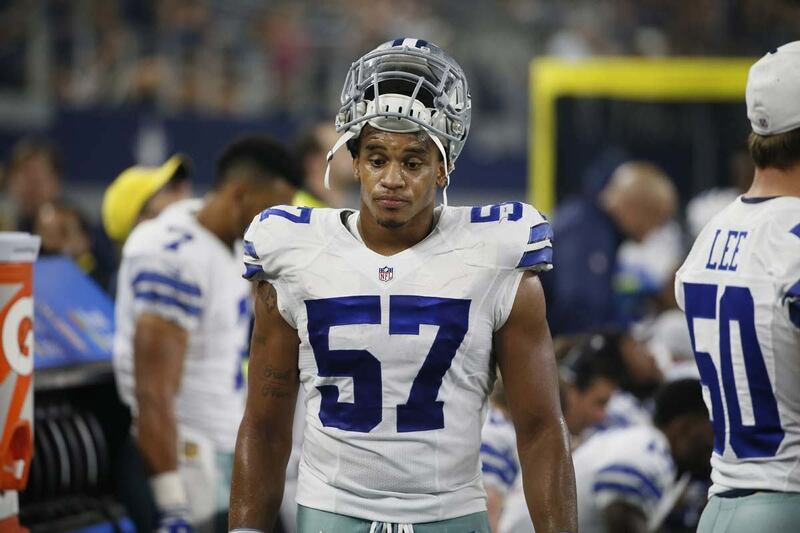 Plus, Dallas' other reserve linebackers are more suited as middle and weak-side players. The Cowboys could let Wilson test the free agent market and see what's out there for him. Assuming it's not much, he could likely be re-signed at a bargain. While most of us would to see more sizzle from the backup running back, that doesn't mean Dallas should let Rod Smith get away. He provides solid depth and versatility both on offense and special teams. The RB position is wide open behind Ezekiel Elliott. Dallas could let Darius Jackson go, as they have in the past, and keep Smith while also signing or drafting a more dynamic backup. Rod would have incentive to stay in Dallas, wanting to remain with his brother Jaylon. It would come down to what other teams might offer. While he's been good at times for the Cowboys, Smith hasn't shown enough that the rest of the NFL is going to make him a priority. Many would likely dismiss his performance as a product of Dallas' offensive line. But Rod can be a productive runner and has the ability to play fullback. With Jamize Olawale also a free agent, Dallas could kill two birds by just re-signing Smith. He's also a core player on special teams coverage. Even if the Cowboys look to upgrade the backup RB position, there is a strong case to be made for keeping Rod Smith as the third back, fullback, and just a generally solid player. 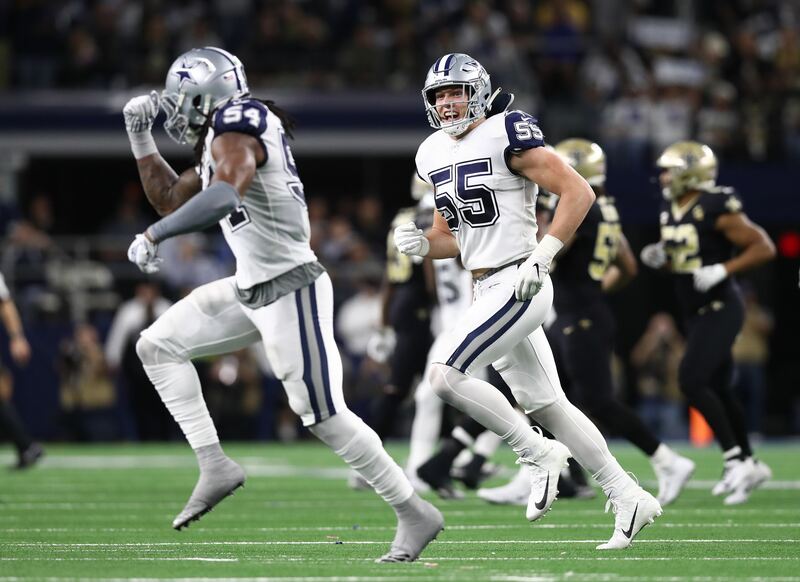 Playing in 10 regular season and two playoff games for the Cowboys in 2018, Reid was a solid depth player who started to flash toward the end of the year. With the size to play at either defensive tackle spot, he'd be a good guy to bring back for next year's camp. There could be a lot of movement at DT this offseason. Tyrone Crawford is a potential salary cap casualty while David Irving is a free agent with uncertainty even if he's re-signed. 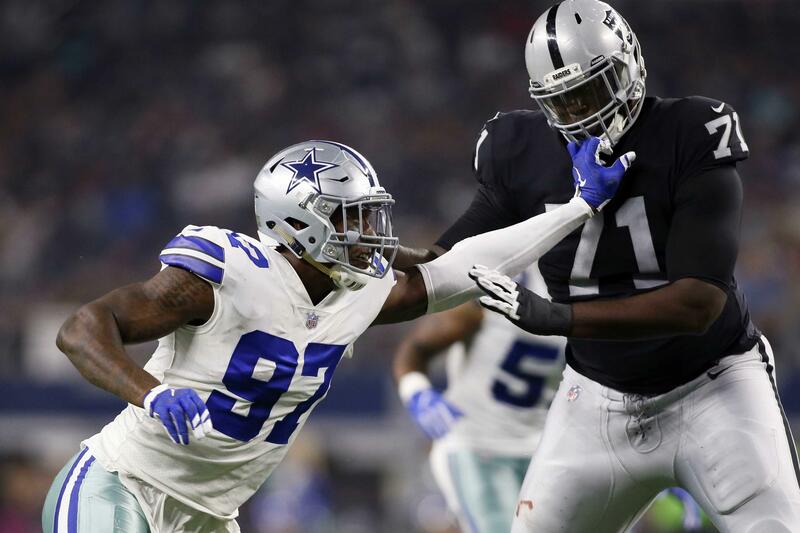 Even if they stay, many feel the Cowboys will pursue an upgrade at the position after getting decimated by the Rams' rushing attack in the playoffs. A guy like Reid is the sort of value signing Dallas needs if it's going to invest more into the position. Putting more money up front necessitates value on the back end of your depth chart. Depending on what happens in March and April there may not be roster spots for both Reid and Ross, among other prospects. But Caraun earned a chance to compete with his play last season.